He was given the name of Thomas Acland at birth. He succeeded as the 3rd Baronet Acland, of Columb-John, Devon [E., 1678] on 29 July 1728.1 He succeeded as the 7th Baronet Acland, of Columb-John, Devon [E., 1644] on 29 July 1728.3 He matriculated at Balliol College, Oxford University, Oxford, Oxfordshire, EnglandG, on 3 May 1740.2 On 7 January 1745 his name was legally changed to Thomas Dyke Acland.1 He held the office of Member of Parliament (M.P.) for Devon from 1746 to 1747.1 He held the office of Sheriff of Somerset between December 1750 and January 1752.2 He held the office of Member of Parliament (M.P.) for Somerset from 1767 to 1768.1 His last will was dated 6 July 1784. 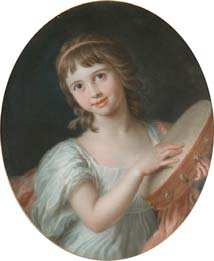 Children of Elizabeth Dyke and Sir Thomas Dyke Acland, 3rd/7th Bt. He was educated at Eton College, Windsor, Berkshire, EnglandG.3 He matriculated at University College, Oxford University, Oxford, Oxfordshire, EnglandG, on 5 May 1770.3 He succeeded as the 9th Baronet Acland, of Columb-John, Devon [E., 1644] on 24 February 1785.5 He succeeded as the 5th Baronet Acland, of Columb-John, Devon [E., 1678] on 24 February 1785.1 His last will was dated 3 March 1793. From 4 July 1785, her married name became Acland. From 6 June 1795, her married name became Fortescue. Children of Henrietta Anne Hoare and Sir Thomas Dyke Acland, 5th/9th Bt. Sir Richard Hoare, 1st Bt. Sir Richard Hoare, 1st Bt. 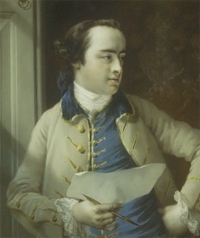 was born on 7 March 1734/35.3 He was the son of Sir Richard Hoare and Sarah Tully.3 He married, firstly, Anne Hoare, daughter of Henry Hoare and Susan Colt, on 20 March 1756.3 He married, secondly, Frances Anne Acland, daughter of Richard Acland, on 7 May 1761.4 He died on 11 October 1787 at age 52. 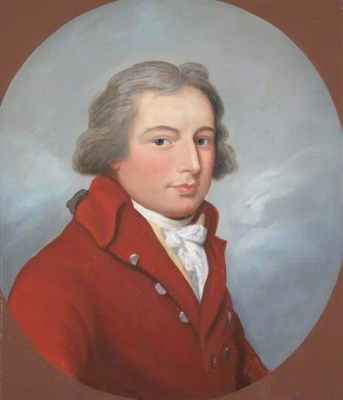 [S18] Matthew H.C.G., editor, Dictionary of National Biography on CD-ROM (Oxford, U.K.: Oxford University Press, 1995), reference "Acland, Thomas Dyke, 1787-1871". Hereinafter cited as Dictionary of National Biography. [S15] George Edward Cokayne, The Complete Baronetage, volume IV, page 97.